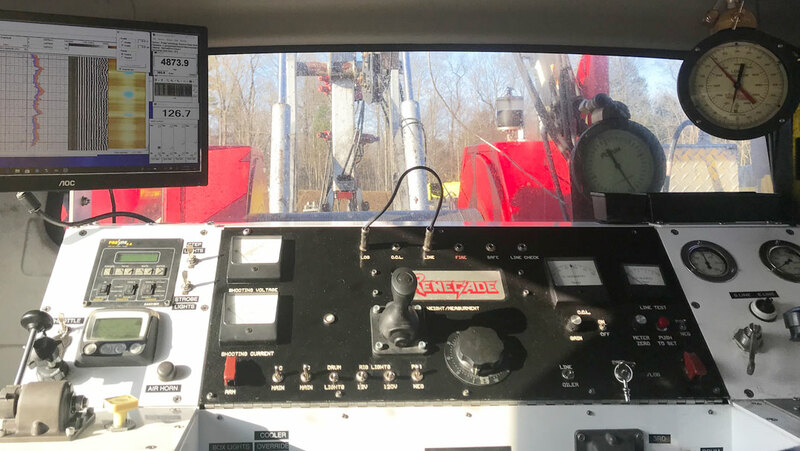 Home » Wireline Services » Category: "Production"
Renegade Wireline Services takes pride in being the best in the industry at supporting well production, including slickline, braided line, electric line, and plug-and-abandon services. Our crews are some of the best-trained operators in the field with years of experience. We have the most up-to-date tools and equipment available. Renegade Wireline Services performs all standard production services on pads of all sizes. Learn more about our major services below. The lack of an experienced wireline operator can lead to poorly maintained units, poor well records, and impatience which jeopardizes the safety of the crew. Renegade’s operators are some of the best trained in the industry, and as a company we win safety awards year after year. Many of our customers find that their wellheads increase in productivity when using Renegade’s wireline services. Because we are the largest independently owned wireline company in the United States, our massive fleet of trucks (the largest privately-owned fleet in the US) are ready to serve any size project in the United States and Canada. Renegade's production services are all inclusive: we have everything your well-site needs for successful production. We take great pride in purchasing only the best equipment for the job. We keep our equipment clean and ready to go so that it is dependable on every pad, for every project, every time. Despite the natural fluctuations in the oil & gas industry, we consistently maintain a great relationship with our vendors through the timely payment of our bills. When we need our equipment served, our vendors are generally willing to show up in our shop with tools right away. E&P companies choose Renegade to get the job done right the first time. Call Renegade to get an answer backed by years of experience. The stuck pipe log uses acoustic measurement techniques to provide a continuous record and evaluation of a stuck pipe string. This logging service can be performed through drill pipe, casing, or tubing to identify problem areas. An operational wellbore produces a tremendous volume of information that must be managed. A variety of diagnostic tools can help you manage your production functions and get a valuable insight into the processes that are occurring below the surface.